Home :: Manufacturers / Brands :: Tingley Rubber Corp.
• Lightweight, Removable Polyurethane Contour Insole Completes The Comfort Experience. • 100% Waterproof Construction. Soft Pvc For Maximum Comfort and Stays Flexible In Cold Temperatures. 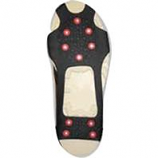 • Slip Resistant Outsole: Unique Star Burst Outsole Is Tough and Slip Resistant. • Easy On and Off: Specially Designed Pulls and Heel Spur For Youths. • Washable: Boot Can Be Washed Inside and Out For Easy Cleaning. • Pleasant Candy Scent Smells Great. 70 percent lighter than other waterproof rubber and pvc knee boots. 100 percent seamless waterproof construction. Tiny air bubbles self insulate keeping feet warmer in the cold and cooler in the heat. Great low temperature properties for flexibility and durability. Cleated outsole design for good traction. Seamless construction for 100% waterproof protection. 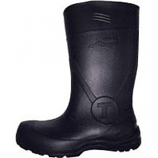 70% Lighter than other waterproof rubber and PVC knee boots.. Self-cleaning cleated outsole for good traction in mud.. Flexible upper material stays supple in cold temperatures to make walking easier.. Self-insulating helps to keep feet warmer in the cold and cooler in the heat..
Composite safety toe meets astm f2413 m i/75 c/75 eh and will not set-off metal detectors.. 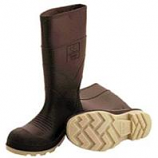 Durable seamless upper is 100% liquid proof.. Slip-resistant nitrile rubber outsole provides superior grip on dry wet and contaminated surfaces.. Tiny air bubbles trapped within the material keep feet warm in the cold and cooler in the heat.. Beveled heel for reduced back and leg strain. Treat wear indicators to show when half the tread has worn away. • 10 Boot. Made To Stretch Over Bulky Work Shoes. • Molded In Rubber Button For Secure Closure.